“Human beings wanted for hazardous Journey. Low Wages, bitter cold, long hours of complete darkness. Safe return doubtful. Honour and recognition in event of success. 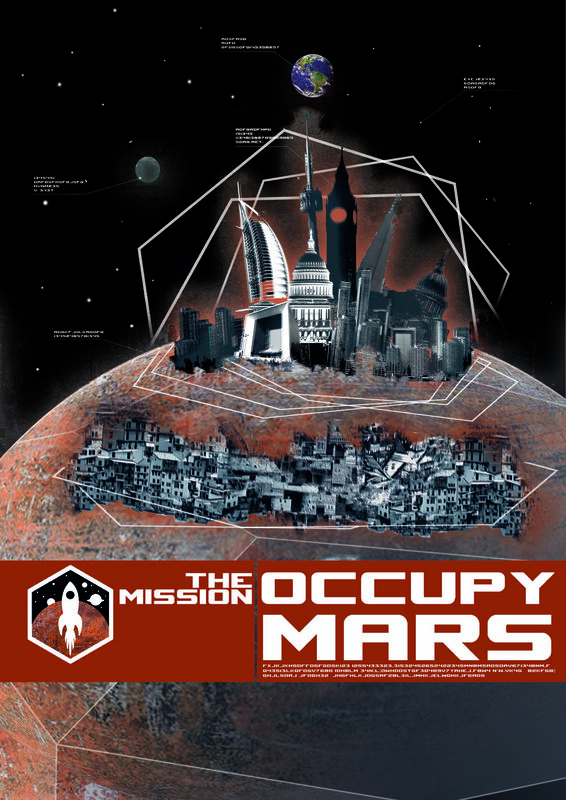 The Mission: Occupy Mars is a live game played between 50 people all trying, simply, to survive on Mars. But what is survival? do we need more than just to breathe and eat? what would you fight for if we could start everything over again on a brand new planet? Time for one more giant leap. You are colonising mars and this your one chance to shape it in your image. A new world should have the chance for a new order, or are the old ways set in stone no matter how far you go? Can you, the unwashed masses, run a world better than the 1%? The Mission: Occupy Mars is a live game played by the entire audience, together against (or with?) a single performer.